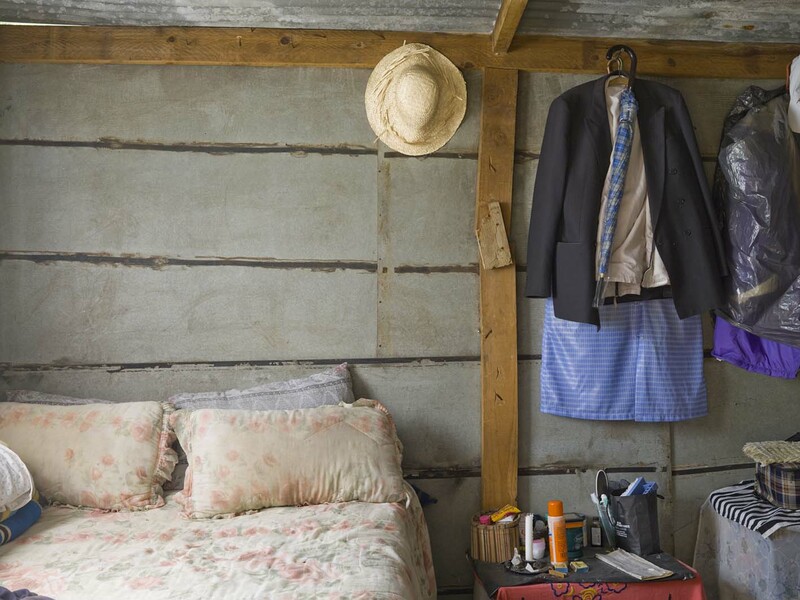 Habitat is the name of the photographic trilogy under which Peter Bialobrzeski groups the series of works Case Study Homes, Informal Arrangements, and !Nail Houses? What initially stands out in all three projects is that the camera comes much closer to its subjects than in the case of his work Neon Tigers (2004). Neon Tigers was Bialobrzeski’s successful attempt to spotlight his vision of the Asian megacity of the 21st century as complicated machinery and hypertrophic construct of extreme artificiality. The panoramas taken at dusk from a primarily elevated vantage point allow views of the complex structural framework of urban space and seduce the viewer with a captivating color palette and the impression that the city is a glowing luminary bursting with energy. The skillful compositional gesture of the visual combination of an analytical view of the multilayeredness of the urban with the, so to speak, painterly perspective of his grandiose unreality sets new standards for the documentation of our hypermodern living environment. Bialobrzeski’s approach to the melding of document and artistic vision is, in a similar manner, also observed in Michael Wolf’s contemporaneous photographic examination of the modern Asian metropolis. 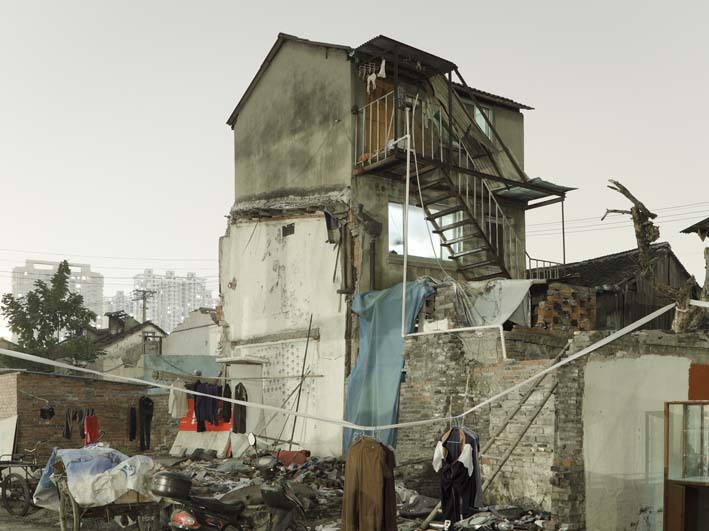 His project Hong Kong Inside Outside (2009) places the habitat of Hong Kong as superlative in the picture. Photographed as well from an elevated and distanced perspective, his “no exit for the eye” frontal exposures of skyscrapers reach a high grade of abstraction. 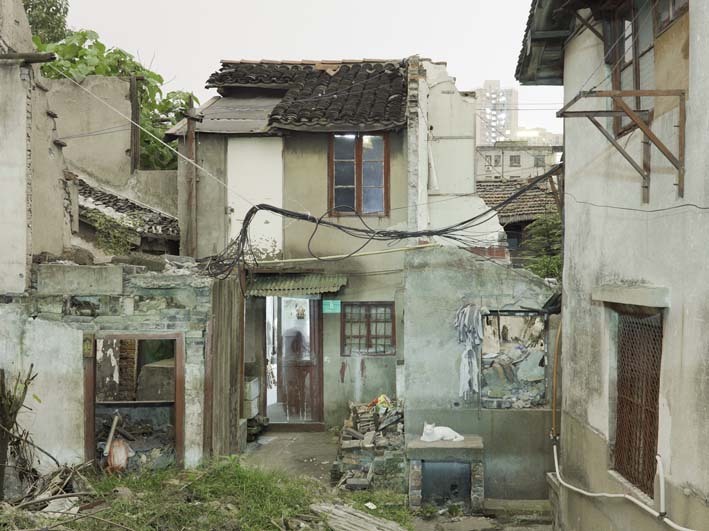 Complementary to these cool all-over shots, he portrays a hundred interior spaces of the same type of building – specifically a condemned apartment block in Shep Kip Mei and its inhabitants. The poverty and lack of space documented there, as well as the reduction of creature comforts to the absolute minimum, are to be found again in radical manifestation in the shanties of Bialobrzeski’s series Informal Arrangements (2010). 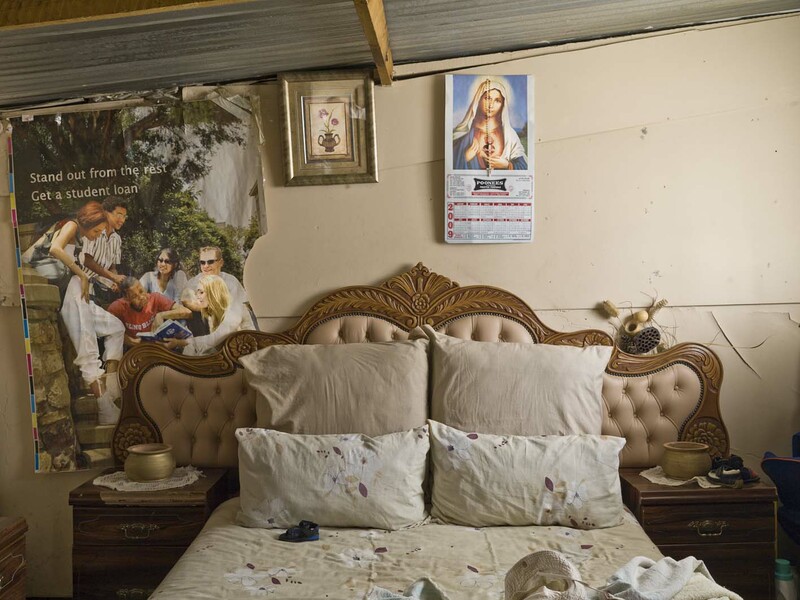 Here are views into the interior spaces of poverty – houses built from the garbage of industrialized society in Kliptown near Johannesburg; a slum that is located in direct proximity to the football stadium built for the 2010 World Cup. Here in 1955 the Congress of the People formulated the Freedom Charter, demanding democracy, equality, and human rights. This charter of Apartheid opponents remains to this day the foundational document of the African National Congress. 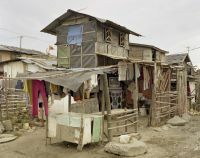 Despite much political effort the district still lacks provisions for basic hygiene, a sewer system, waste disposal, and electricity. 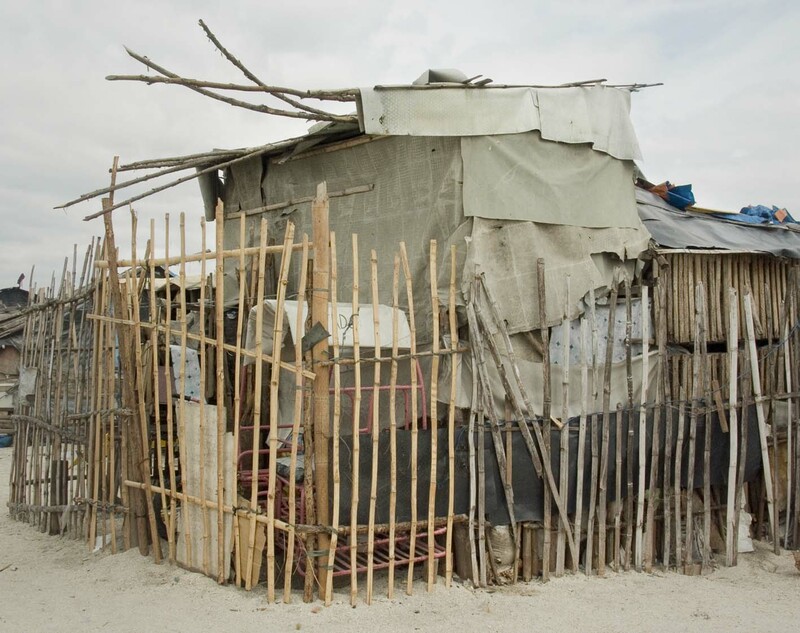 The inhabitants wait, seemingly in vain, for the construction of new housing promised to them years ago. 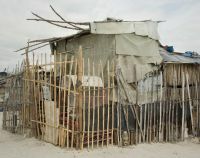 Similar to Michael Wolf, Bialobrzeski proceeds directly to the improvised, claustrophobic shanty constructions; consequently leaving out their inhabitants as he focuses on the improvised arrangement of the housing. A strong feeling of anxiety and powerlessness is conveyed through the head-on view and close proximity in the photographs. 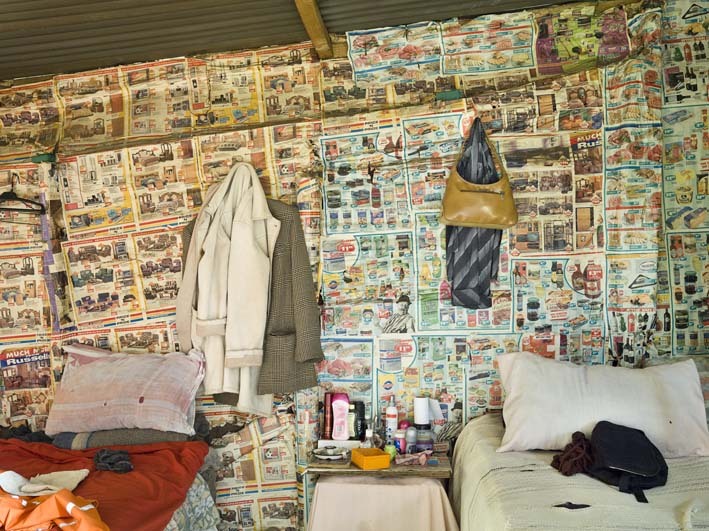 In the same vein, a clear view of structural relationships, the surreal layering of the makeshift wallpaper comprised of various scrap material – curtains, carpet, posters, advertisements, calendars, etc., whose purpose is to impart a trace of comfort and personality to the otherwise dismal corrugated steel huts. 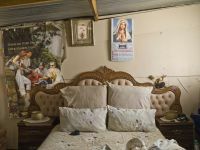 In Contrast to Mikhael Subotzky, who keeps the immediate social environment in view in his photographic study of Beaufort West, Bialobrzeski rejects the direct human drama–oriented documentation of conflict and destitution, instead confining his message to the internal dynamics of the material substrate. 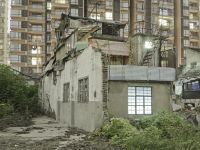 With his most recent series !Nail Houses?, the third part of the Habitat trilogy – which is being shown for the first time publicly at the Forum für Fotografie – Bialobrzeski returns to China to grapple with another socially and politically explosive theme. The work series shows houses in Shanghai which are up against unbridled modernization; a progress which manifests itself above all in profitable shopping malls, skyscrapers, and gigantic luxury hotel complexes. 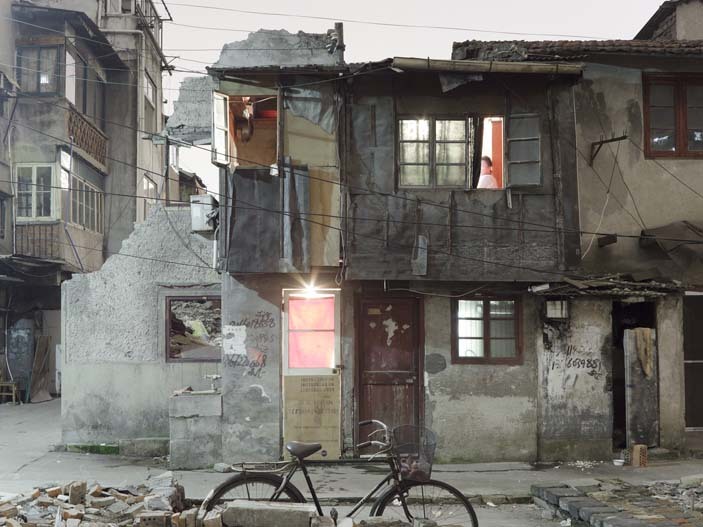 The Chinese neologism “nail house” plays on the intractability of nails that cannot be pried out and refers to houses whose inhabitants try until the very last minute to fight back against their demolition. 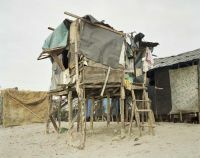 Despite the financial compensation guaranteed from the government, awaiting the inhabitants is not just the loss of their familiar surroundings, but quite often relocation to a far-flung peripheral area of the city. Due to the often bitter reactions of the inhabitants the phenomenon of the nail houses found a wider attention in the Chinese media. With !Nail Houses? Bialobrzeski creates an aesthetic synthesis of his photographic work up until now. The control of light he already developed in Neon Tigers and Lost in Transition is taken up again and is brought in a new way to the elaboration of a single phenomenon and its typological investigation, which is also the case in Case Study Homes and Informal Arrangements. Bialobrzeski remains true to the larger theme of the transitory as spatial phenomenon of structural complexity, social change, and artistic challenges.